It’s that time again, Tricky Tray Basket Wrapping Sessions. Our next sessions are March 18 & March 26. Stay for 30 minutes; stay for 60 minutes. You can even stay for the entire session! 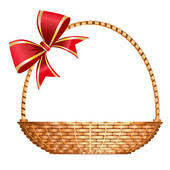 We have over 75 baskets ready to rock and roll….many hands make light work…. PLEASE CLICK HERE for the volunteer link. More information can be found on that page as well.